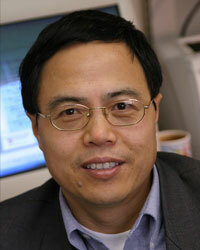 Dr. Shulin Chen’s research emphasis is in the area of Bioenergy and Bioproducts Engineering. He leads a research team of over twenty scientists, graduate students, and visiting scholars working in the field of industrial biotechnology; developing bioconversion processes and systems for the production of biofuel, bioenergy, and bioproducts. Research work by graduate student, Mohammadali Azadfar, under his advisor, Dr. Shulin Chen, has been accepted as one of the top seven topics of lignin-based materials for an oral presentation at prestige AIChE national conference, November 8–13, 2015 in Salt Lake city.